There's something magical about London at Christmas time; festive cheer is spread from every shop, restaurant, bar and boat. 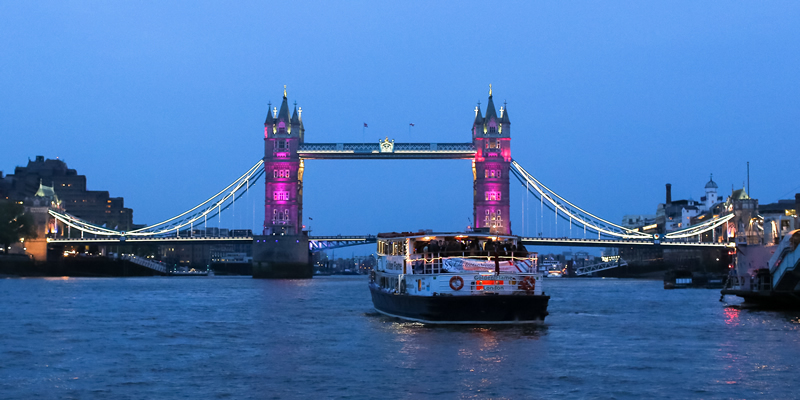 Dusk seems to come early just so we can turn on the lights and there really is no better place to soak up the atmosphere than from one of our Thames party boats. 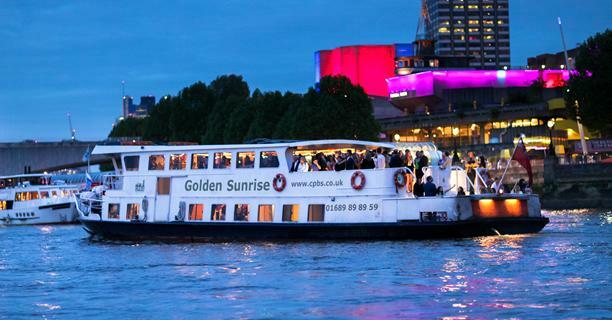 - Exclusive hire of one of our fantastic boats allowing you to create your party your way. 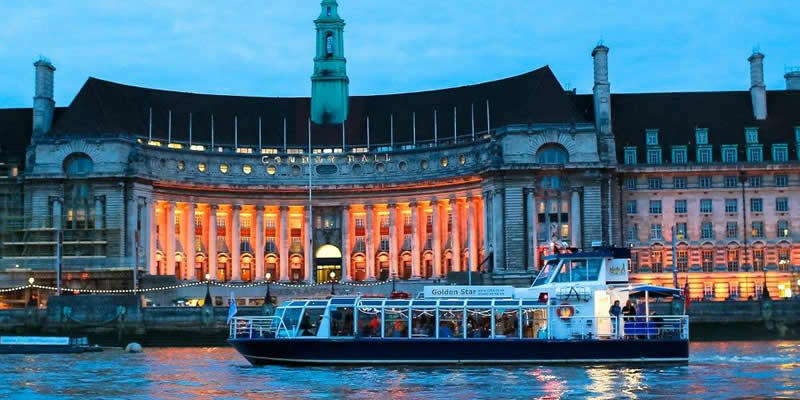 - Christmas boat party packages with per person pricing that can be used as is, or as a starting point from which to build your individual event. - Alternatively we can help you put together your own bespoke party, ensuring you a party to remember. Additional entertainment options can be added to any package to make your event even more special, please click for details. Depending on the nature of the function, security may be required. Security will be supplied by CPBS and payable by the client. Please email us with your requirements. 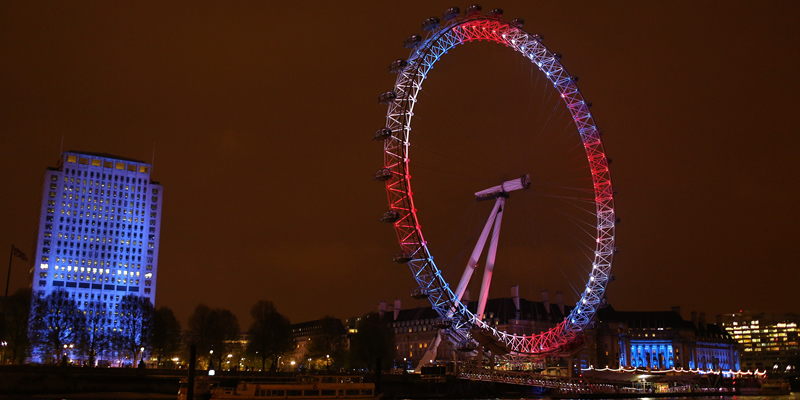 We'll be happy to hold the date for free of charge and arrange for you to view the boat of your choice. Boat hire rates start at £205 per hour for Christmas lunch cruises and £235 per hour for evening disco or dinner cruises. To ensure your function goes with a festive bang all our fully heated party boats are tastefully decorated with seasonal lights and decorations. Neither catering nor entertainment are compulsory, however if you do wish to offer your guests food or music we can provide a range of options to complement your function. Our superb in house caterers can provide a variety of seasonal fare ranging from a simple buffet to a more stylish a la carte meal, with festive crackers added to most menus. Mouthwatering dishes of turkey with cranberry stuffing and christmas pudding will make you wish it was Christmas all year long. Click to view some of our Christmas menus. string quartet to greet your guests as they board, and continue to play during your canapés or meal. Alternatively you can bring on your own entertainment or food for a small surcharge. All our pleasure boats have a fully stocked bar on each level with a full range of wines and spirits at reasonable rates. For a sophisticated greeting we can arrange reception drinks of champagne, cocktails or mulled wine as your guests board. For full details click here. We do get exceptionally busy during December so contact us now to check availability of your chosen date, if available we can hold dates for 7 days free of charge to give you a chance to get organised. Email us, call freephone 0800 019 15 16 or 01689 898959. We understand that some of you are so busy helping others enjoy the festive season that you can't celebrate yourself until after Boxing Day. 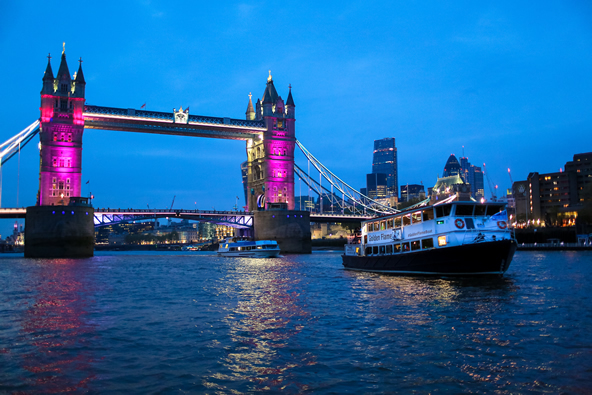 To ensure you don't miss out we offer a 10%-15% boat hire discount on Christmas boat parties booked throughout January 2019. Unfortunately the boats won't be decorated anymore (although I'm sure you'll have seen enough tinsel by then anyway) but we can still provide Christmas fare for you, or you can choose from our varied selection of standard menus. Simply quote the reference LATECHRISTMAS when booking to receive your discount.